A new study from Boston University reveals that non-practicing entities, otherwise known as patent trolls, cost the US $29 billion in 2011. Monetary damages aside, the study found that the increasing number of lawsuits is curbing innovation among small and medium-sized companies. 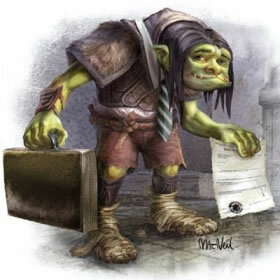 A patent troll can be described as an individual or company that acquires patents and licenses out their use or simply sits on them without intent to manufacture a product using them. Some say that Nathan Myhrvold, the founder and CEO of Intellectual Ventures, is a prime example of a patent troll. His company’s sole mission is to buy and license patents, although he has argued that Apple, Google and Samsung are now doing the exact same thing he is. The authors of the study note that it’s usually small and medium-sized businesses that are most affected by patent trolling, as they are required to redirect funds from innovative research and development to purchase what can be described as vague and overly broad patents in an attempt to cover all the bases. Despite what Myhrvold and others might say, the study found very little evidence that non-practicing entities contributed to innovation or invention. Instead, publically traded companies like this cost businesses more money than they could ever hope to transfer to inventors. Furthermore, a large portion of lawsuits ultimately settle for a couple hundred thousand dollars which doesn’t amount to much more than a nuisance for the average medium-sized company. The authors believe that those in charge should reform the patent system, making it more like an idealized property system and address patent troll behavior.